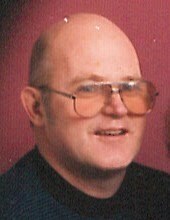 Terry James House, age 74 of Fruitport, passed away on Saturday, February 9, 2019 at home. He was born on November 19, 1944 in Shelby, MI to the late Harry James and Evelyn Jean (Osmer) House. Terry married Roberta Douglas on March 10, 1990 in Louisville, KY.
Terry was a member of Fellowship Bible Church, as well as the VFW Post 3195 in Muskegon. He worked as a welder doing maintenance for Kandu Industries, and enjoyed traveling, camping, and building things. Terry was a jack of all trades, as his family and friends would say. He also enjoyed collecting and polishing rocks and fossils, and was very knowledgeable on the different types of rocks he would find. Terry was a great friend to many, and will be dearly missed by all who knew him. Terry is survived by his wife of 29 years, Roberta “Bobbie”; daughters, Rikki (Scott) Cooper, Cindy Bailey, Shelly Johnston, Hazel (Scott) Eynon, and Kelly Lewis; sons, Terry Jr. Gleason, Matthew (Michelle) Gleason, Jason (Pam) Cadwell, and Jerry House; 30 plus grandchildren; several great-grandchildren; sisters, Bonnie Kelly, Mary Fisk, Margie Vandermass, Roberta (Howie) Boeve, Peggy (Joel) Pomeroy, Mercile Martinsen; sisters-in-law, Jane Douglas and Karen Verplank; brothers, Wilson (Verna) House, Edwin (Mary Sue) House, and Jim House; and brother-in-law, Ron (Annie) Douglas. He was preceded in death by his sons, Mark and Luke, who died at birth. The Memorial Service for Terry will be at 1:00 P.M. on Saturday, February 16, 2019 at Fellowship Bible Church in Grand Haven, with Pastor Kelvin Miller officiating. Full Military Rites will be performed by the VFW Sgt. Alvin Jonker Post 2326. Friends are welcome to meet the family for an open house on Tuesday, February 19th, from 6 to 8 PM at the VFW Hall on Apple Ave., Muskegon. Memorial Contributions may be given to Fellowship Bible Church.